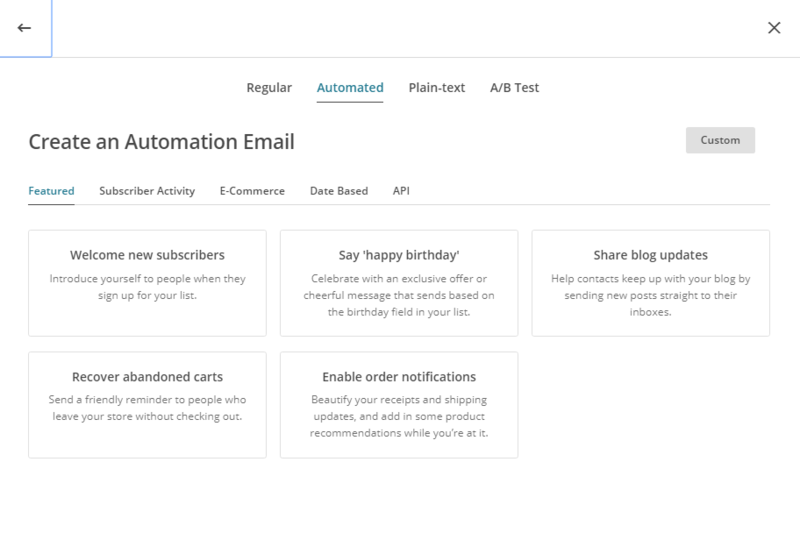 What is Email Marketing Automation with MailChimp? How good is Email Marketing Automation with MailChimp! It’s like having another team member in your marketing department that you can just set and forget. If you don’t already know what MailChimp is all about, MailChimp is an email marketing automation service. As a business owner you can manage one or multiple lists of customers (or potential customers) for your business. You can create and send single emails that you’ve designed within the MailChimp Email Designer, reuse these designs for future usage, create a single campaign to send the email to your lists whilst tracking who opens your emails and what they click, and even create automation workflows such as an onboarding campaign to showcase your business. In this article we speak a bit more about some of these awesome features including the different types of Automation Campaigns, setting up your first List, a quick overview of the Signup Forms and Templates, and designing an email for using in your Campaigns. All of the features we talk about in this article are available in the ‘Forever Free’ plan. As you start to scale your usage, you can upgrade to one of the paid subscriptions. A MailChimp Campaign is essentially when you send out an email through MailChimp to one of your Lists. An Automation Campaign also sends out emails to your Lists, but is initiated via a number of triggers. 1 – A welcome message to the new list member and a quick introduction to your business. This email is sent immediately on subscription. 2 – An introduction to some of your products, which can be linked into your eCommerce store (eg. WooCommerce), and you can even report on the revenue generated through products sold via your MailChimp Campaign. This mail should be sent a few days or a week after initial sign up to maintain constant contact. 3 – A special or an offer from your business. The subscriber has now seen a couple of emails from your business and your brand is being recognised. Prompt them to become a paying customer by giving them a special offer on one of your products or services. Send this email a few days or a week after the last one. E-Commerce Automations. These automations are great for integrating your MailChimp platform with your E-Commerce platform (ie, WooCommerce). There’s heaps you can do, but one of the coolest is the Recover Abandoned Carts automation. This will send a follow up email to customers who have added a product to their cart and then abandoned it. Of course this only works if the customer got as far as enteriing their email address. Other E-Commerce Automations include thanking first-time customers, rewarding your best customers, winning back lapsed customers and product follow up (ie., send a follow up email after certain products are purchased). Share Blog Updates. Keep your subscribers up to date with your latest blog posts by establishing an Automation that hooks into your blog RSS feeds, and sends an email at your prescribed schedule. The first piece of the puzzle when getting started with MailChimp is to create your first List. 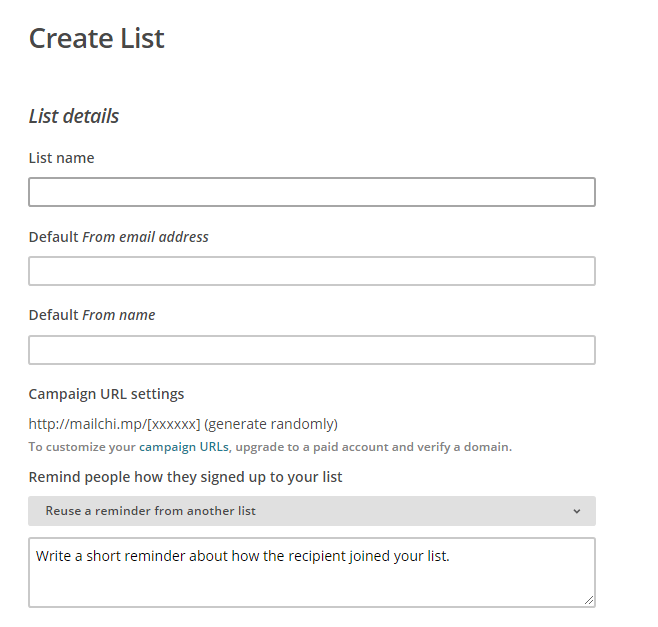 This list is used to capture and manage contacts that will be used for your Campaigns. A pretty basic list needs to have the list name set, as well as the Default from email address and the Default from name. There are a number of settings you can tinker with whilst setting up your list, and you should at least check out the List Fields that are available to ensure you are capturing necessary information for your business, as well as the different range of Sign up Forms as these are what will be used to share and present your list to your audience. In the next section we’ll check out some ways to share your list to get more subscribers. To expose your List and share it with the world, you will need to have a set of forms. These include your general sign up forms that your audience will see when they click on a subscribe link, as well as the forms they see when they update their details or unsubscribe. This bit also contains some of the templates for emails your list members will see. Out of the box, you can pretty much get going with the suite of forms that you are provided with in MailChimp. If you do however wish to customise things and make them a little more personal, then this is where you can do that. The easiest way to create an email for your Automation Campaigns is to use the inbuilt Email Designer within MailChimp. With the Email Designer, you have a nice drap and drop interface to place content blocks and images for the perfect layout. There’s plenty of different object types, including products that can be linked directly to a product in your E-Commerce platform. You can also save your email design as a template, for future use in Campaigns. 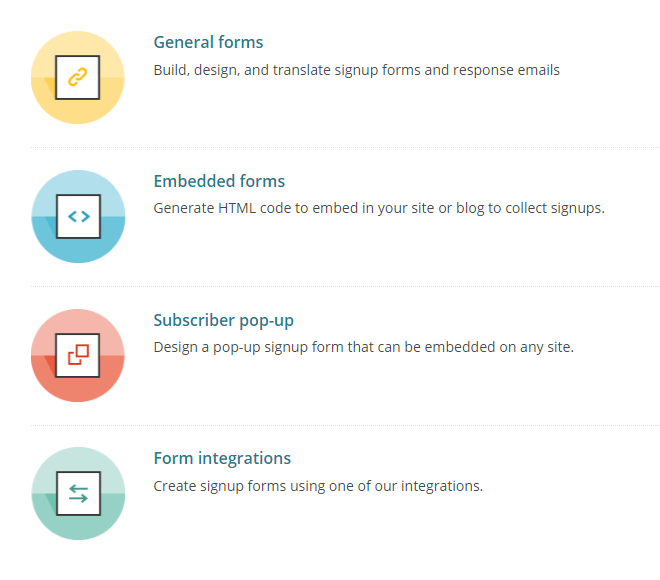 Now you have your List, you have some pretty good looking Signup Forms and Templates, and you’ve designed some emails in the Email Designer, even saving some as templates for future usage. In this post you’ve been given an overview of the functionality of Email Marketing Automation with MailChimp, and how it can be a useful tool for your business. 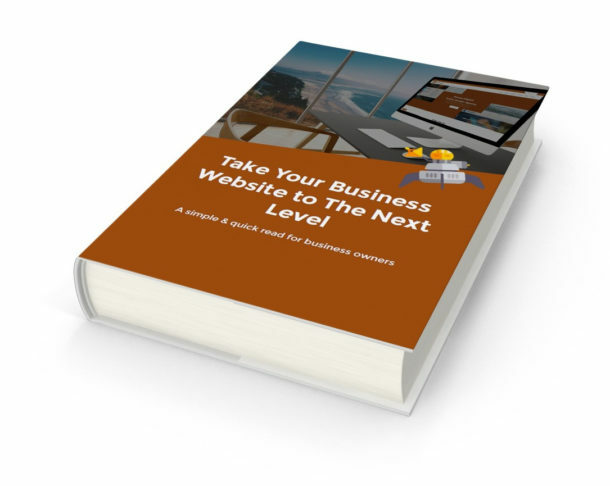 The next step is to give it a go yourself, or have a chat to your web developer or marketing agency to help you along. For more information on Email Marketing Automation check out the MailChimp page on Email Marketing Automation right here, or for some expert assistance from Sherpa Digital, get in touch via our Contact page.